During cultural events the price of tickets may vary! We suggest You to reserve Your tickets in advance and then You can enjoy the visit without queue. The Booking charge is € 1.00 (per person) for Individuals and € 25 for Groups (Minimum of 12 people). Booking is free for schools and always obligatory! All visitors during the Cultural Assets Week, the White Night, Christmas in Rome, as well as similar cultural events, arranged by the Municipal Administration. Teachers and students from the Faculties of Architecture, Conservation of Cultural Assets, Educational Science of the EU countries or countries outside the EU with reciprocal conditions. Free and facilitated entry for citizens of the Swiss Confederation in line to the Ministerial Decree No 20 April 2006 239 3 letter e) and Article 6. 1. 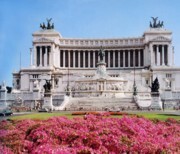 You will meet the English-speaking guide in Piazza Venezia. 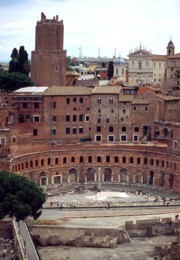 Even at times of Julius Caesar the old forum was too small for the needs of the city. Rome was not more a city-state, but the capital of a great empire. Between the old Forum and the District Subura, the emperor created more and more, newer, larger and more splendid equipped forums, the so-called imperial forums. Forum of Caesar (the first of the Imperial Fora). Julius Caesar thought that the Roman Forum was no longer sufficient as representative and administrative centre, so in 54 BC he started with the construction of a new forum. This served as a template for all other imperial forums. In this forum are the remnants of the Temple of Venus Genetrix. 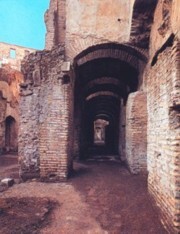 Forum of Augustus. Before the Battle of Philippi in 42 BC., in which the murderers of Caesar, Brutus and Cassius, died, Augustus promised the construction of this forum with a temple of Mars Ultor (the avenger). In 2 BC the complex has finally been inaugurated. Forum of Nerva. This forum that is also called forum Transitorium Forum was begun by Domitian but finished only in 97 AD consecrated by Nerva (shortly after Domitian’s death). The Forum got called "Transitorium" because of its location between the Forum of Augustus, the Forum of Caesar and the Temple of Peace. 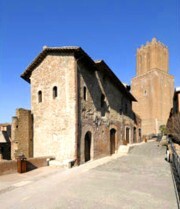 In the Forum of Nerva was located the Temple of Minerva. 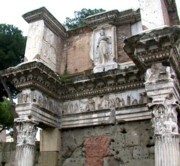 Trajan’s Forum. The last and at the same time the largest and most splendid of the Imperial Fora was built between 107 and 113 AD by the Emperor Trajan. The forum had many functions, such as the promulgation of laws. It took place here also the so-called Congiaria (money donations of the emperor on special occasions). Although the Emperor Constantine robbed numerous reliefs of the forum for his triumphal arch, it was in good conditions for a long time. At least until the 5th century it was still in use. 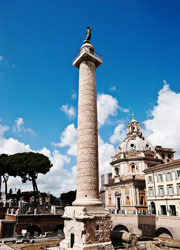 The Trajan’s markets were created in the first decade of the 2nd century, so they emerged earlier than the Trajan’s Forum. The Trajan's Markets were probably something like a state-administered food stock for the main food (like a kind of wholesale). 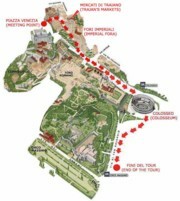 Finally, at the end of the road (Via dei Fori Imperiali) raises one of Roman’s greatest wonders: the Coliseum. The amphitheatre was for many centuries site of terrible gladiators' fights. Later, it served as a quarry for the constructions of the Middle Ages. March 16 to last Saturday in March from 9:00 to 17:30. December 24 and December 31 from 09.00 to 14.00.